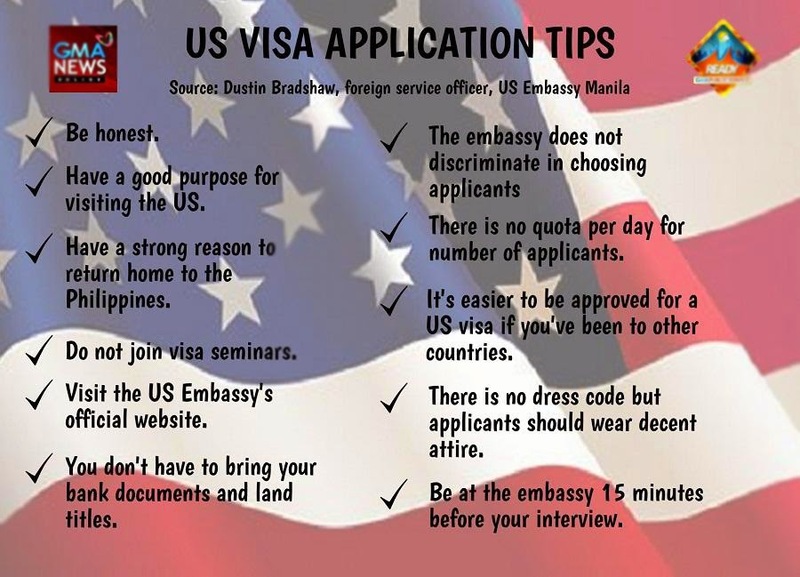 Applying for a US visa? Expect to be bombarded with so many questions. That is why preparation is a must. General rule? Tell the truth and be prepared. The consuls you'll meet in the interview are trained in their job so they will know if you are lying. Don't get nervous. Smile. And be confident in your answers. Be polite and do not argue. Show respect. Be honest which means you need to provide the only honest answers. 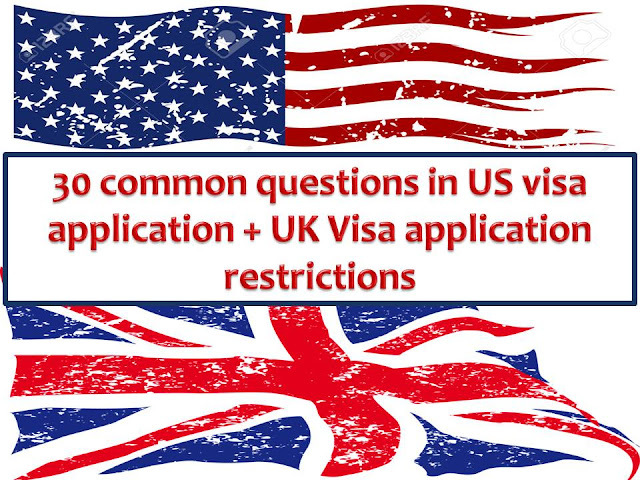 Here is the following common question that is usually asked individuals who apply for US Visa, be it for business or tourist visa. 1. What is the purpose of your visit to the US? State the reason for your visit. If it is for business, to visit family, relatives or friends or, for a holiday season, any occasions etc..
2.Have you traveled to the United States before? Just answer with a 'yes' or 'no'. The consulate may verify your statement anyway. 3. Why do you plan to travel at this time? You may answer that this is your only available time to travel or it is your annual leave from work or any other reason. Just tell the truth. 4. Do you have relatives in the United States? If you have any, provide the names and their relationship to you. Provide other details if it is requested or being asked by the consulate. 5. Do you have friends in the USA? State their names and also the basic information but if they’re not really significant to you then just say so. 6. How long have they (friends/relatives) been living in the USA and what are their current status? If the purpose of your US visit is to meet them, know their basic information. It will really help you to become more confident in front of the consul. 7.Where are they (friends/relatives) working and what will you do during the office hours? Again, know their basic information so that you can provide answers to questions like this. Provide an accurate answer. And when asked what are your plans during the hours and days that your ‘sponsors’ are working, you can say that you are planning to go on short solo day trips near the area so that you can maximize your stay. 8. Who are you going with to the USA? If you are going to relatives or friends, know their basic information. 9. Which places are you planning to visit? Research the places you want to visit before your interview. Start with the spot near your accommodation because it is more feasible. 10. How long do you plan to stay in the USA? Base your answer on your itinerary. Therefore it is important to study this first. Check your allowable leave credits if your an employee and bring a form during your interview regarding your leave credits. This may help you. 11. When do you plan to visit the United States? Mention the month in which you will be visiting the country. 12. What is the reason for traveling at that particular time? Provide the reason why you have chosen that particular month to visit the United States, whether it is to attend an event, or to enjoy the weather at a certain time of year, or any other reason that is true. 13. What do you plan to do in the United States? Answer with your plans for the visit, whether it is to visit popular tourist destinations, mention the place you want to go, or whether to spend time with your family and friends, etc. 14. Who will be sponsoring your visit? Name the individual who will be sponsoring your visit. 15. Where will you be residing in the United States? Give the full address of the place where you will be residing during your visit. Make sure that the address you provide the consulate matches the one provided on your visa application. 16. What does the individual sponsoring your visit do for a living, and how much do they earn? Provide the name of the organization at which the individual sponsoring your visa is employed along with their designation and disclose their annual income. Financial documents must be carried to support your answer, and the amount stated during the interview must correspond with the figure entered in your visa application. 17. How long has the individual sponsored your visit been in the United States? State the number of years that the individual has been residing in the United States. 18. Have you booked your tickets? 19.Have you booked your return tickets and availed medical insurance? The answer is again subjective and will depend on your situation, but provide the true answer. 20. How much do you think will it cost you to stay in the USA? Give a brief estimate of your budget and how much money you are expecting to spend while in the United States. 21. Have you traveled abroad before this trip? Mention the countries you have been to prior to your impending visit to the United States. 22. Have you been to the USA before? If you haven’t been to the US, don’t lie. Just be honest because they will know if you are telling the truth or not. 23. How long will you be residing in the United States? Provide the duration in a number of months that you will be residing in the country on your visit. 24. Why do you wish to stay for so long? Can’t you plan a shorter trip? Respond with the reason for your stay and provide a comprehensive explanation as to why you will be residing so long in the country. 25. 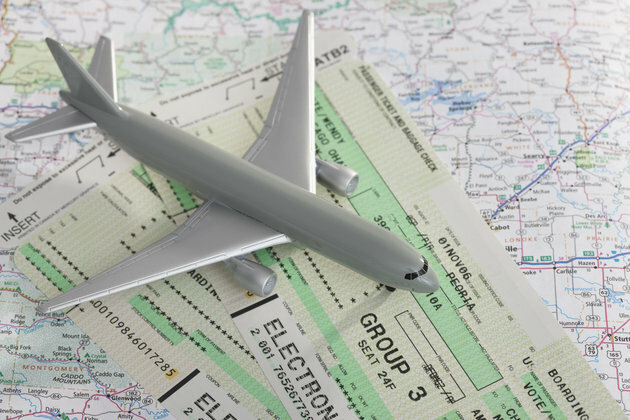 How will you finance your trip? If you have savings, show your proof. If you are going to be sponsored, get the information from your sponsors. Know what they do for a living and get necessary supporting documents like bank statements, job certificate, tax details etc. 26. What do you do for a living? Tell your job, your businesses and other side jobs, if any. This will give the consul an idea if your employer is credible enough. They need to know that you are established in your home country and that you are not going to the US for greener pasture. Bring document if possible such as a certificate of employment, proof of income, business permits, bank statement, etc..
27. How much do you earn for a living? Just tell the correct figures. After all, these can all be seen from the documents you have presented during your online application. And if they feel that it is not enough for your trip, might as well prepare for the next question. 28. Do you own a credit card? Show it to the consulate if you have and give the details requested. If not, just tell them that you do not own one at the moment. 29. Do you have plans of working in the USA? Your 'yes' answer might result in a rejection of your application. 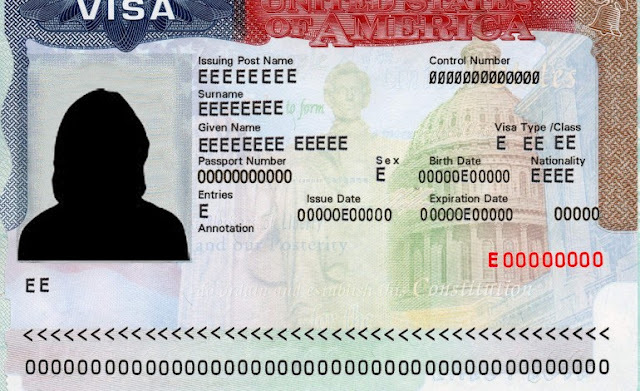 Never attempt to work in the US while you are there on a tourist visa. Also, do not mention that you are looking for opportunities in the US. 30. What guarantee do we have that you will return home? Mention that you have a family in the country and provide other reasons as to why you will be returning the Philippines after your visit. You can name your job, business if any, and your dependents who require your presence in the country. On the other hand, here are some things to know about United Kingdom Visit Visa Application for holders of Philippine Passport. The United Kingdom is one of many countries Pinoy wishes to visit before they die. But before you can enter the United Kingdom as a tourist, you need a visit visa. Here are some restrictions, as others may use their visa to find a greener pasture while in the UK. As a tourist, you will be given six months to stay in the country. Save enough money to support yourself during your stay in the Kingdom. No working and no asking for help from public funds of UK. Paid or unpaid employment for tourist is prohibited. You go as a tourist. Stay as a tourist. As a tourist, you must leave the Kingdom at the end of six months. Applicant must have a passport, a UK address which can be shown in hotel bookings, address or email of a friend or relatives in UK before online application. Prepare supporting documents in the English language. 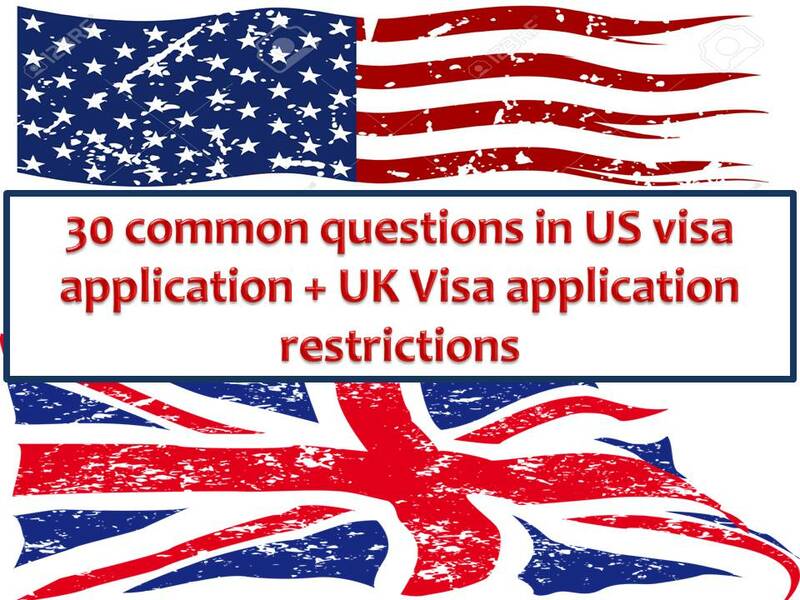 How to apply for the UK visit visa? VFS Global Services Philippines Private Inc. Applicant must arrive early bringing all documents needed for the application. Within four to five working days, you may get your visa application result if you submitted all the required documents.